Turned back at the gates of Vienna! Ottoman history is undergoing something of a revision in Turkey these days. Despite its portrayal in the West, it was a multi-ethnic, multi-lingual, multi-religious state. The concept of Turkishness and Turkish nationalism emerged in the late 19th century in response to the rise of national independence movements within the Ottoman Empire, encouraged by the so-called Great Powers of Europe. During the 19th century, the Empire lost much of its former territory as a result of wars which the European powers justified by claiming to champion the rights of ethnic and religious minorities. When oil began to replace coal as the fuel of choice, and it was discovered that vast resources of “black gold” lay within their domains, it became increasingly fashionable to brand the Ottoman government as bloodthirsty barbarians slaughtering their poor downtrodden minorities. “While analyzing the Ottoman Empire’s Islamic character, one must keep in mind that much of the empire’s population was not Muslim. Large communities of Orthodox Christians, Jews, and Catholics all lived in the empire. At some times, Muslims even formed a minority of the empire’s population. At no time in the empire’s history were non-Muslims forced to abide by any Muslim laws. Instead, a system of religious pluralism, known as the millet system, was implemented. In the millet system, each religious group was organized into a millet, or nation. 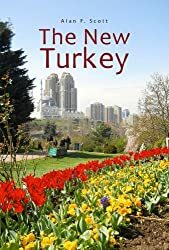 When the Ottoman Empire collapsed after the end of the First World War, what little remained was saved by the efforts of a nationalist resistance movement that employed, of necessity, the uniting principles of Turkish identity and the Muslim religion. The secular republic that emerged from the struggle was, perhaps ironically, more exclusively Turkish and Muslim than the Ottoman state had ever been. An important aspect of its founding mythology was the need to deny a connection with the once-great empire from whose ashes it was emerging. What has been happening in recent years is a greater willingness to acknowledge the fact that the Ottoman Empire, its history, culture and achievements, are an important aspect of the heritage of the modern Republic of Turkey. Movies such as Fetih 1453 (The Conquest of Constantinople), Dedemin İnsanları (My Grandfather’s People), and popular TV series like Muhteşem Yüzyıl (The Magnificent Century) and Payitaht Abdülhamid (The reign of Abdülhamid II), have been bringing Ottoman history to life and making it palatable to new generations in the 21st century. The case of Abdülhamit II is possibly the most striking example of the revisionist revolution taking place in Turkey. Condemned for years in the West as “The Red Sultan” or “Abdül the Damned” for his alleged atrocities against Armenians, Abdülhamid ascended to the throne in August 1876 at a bad time in Ottoman history. His older brother, Murat V, had been deposed after a brief eight-month reign. Murat himself had taken over from his uncle Abdülaziz who had been ousted and forced to commit suicide. Shortly after getting the top job, Abdülhamid found himself involved in a disastrous war with Russia, which ended with a victorious Russian army at the gates of Istanbul. The British Government intervened to keep Russia in its place, but the Ottomans again lost territory – including the İsland of Cyprus, which the Brits grabbed as a “protectorate”. Abdülhamid managed to keep his rickety empire afloat for a further 33 years, in the face of increasing threats from within and without. In 1905 he survived an assassination attempt by Armenian revolutionaries, but was overthrown by a coup in 1909, in which, according to a Turkish source, there was Jewish involvement. The Sultan had upset powerful Jewish interests by opposing their plans for a Jewish state in Palestine – at that time in Ottoman territory. The Yıldız Hamidiye Mosque was opened in 1886 near the Sultan’s new residence on the hill above Beşiktaş. Interestingly, the architect was an Armenian, Sarkis Balyan, whose family had served the Ottoman dynasty for several generations. A substantial portion of the palace grounds have been preserved as a public park – the 46-hectare Yıldız Park has recently undergone substantial redevelopment, and is a restful oasis in the megalopolis that is present-day Istanbul. I’ve been waiting impatiently for restoration of the mosque to be completed. After four years, it was re-opened in March to mark the 100th anniversary of Abdülhamid’s death. I’m told the cost of renovation amounted to 27 million TL (around $US 5 million), and the result is spectacular. There is a three-storey clock tower in the courtyard. The mosque is entered by a double stairway of white marble, and the interior decoration was designed to exceed that of the palace itself. In recent years students have been learning the neglected skills of Ottoman art and decoration, of which the Yıldız Mosque is a magnificent exhibition. Some of the elaborate woodwork in the interior is said to have been made by the Sultan himself, a skilled cabinet-maker in his spare time. A hundred metres or so downhill towards the centre of Beşiktaş is a smaller mosque dedicated to a Sufi Sheikh, Tunuslu Muhammed Zafiri. Abdülhamid Khan took his religion seriously, and was apparently a devotee of the Şâzelîlik sect that originated in North Africa. Well, there’s only so much history we can absorb at a sitting – but I’m pleased that the current ongoing review of Ottoman history is opening new angles on the world we all inhabit. It’s not possible to find answers until we know what questions to ask – and I’m constantly finding new questions to which I’m seeking answers.